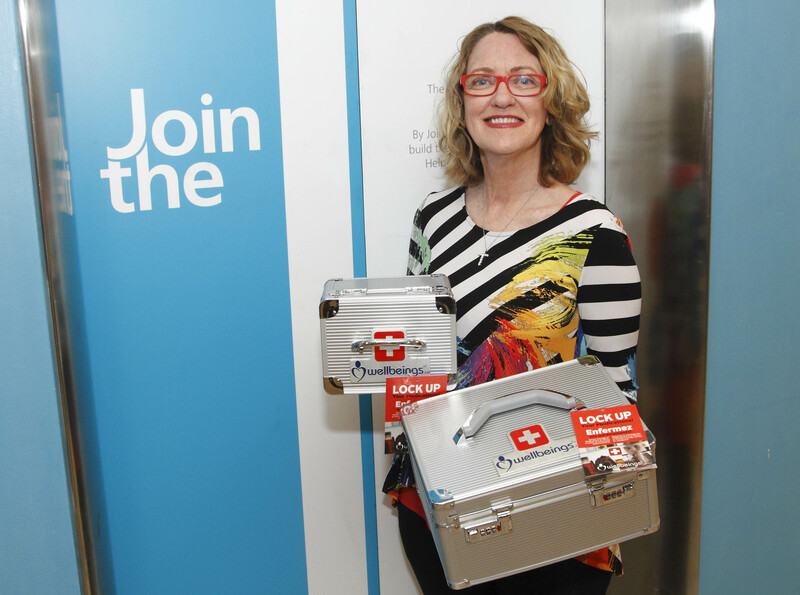 Wellbeings® President Peggi Shepherd DeGroote shows the two sizes of medication lock boxes that were specifically designed to secure medications at home, at work or school and even while travelling. Wellbeings® President Peggi DeGroote offers a secure solution to medication storage for families. Peggi has been involved in the fields of pain and Opioid Use Disorder (OUD) 10 years, operating a medical clinic which has restored quality of life for over 1500 people to date. That’s why I have introduced a unique and secure medications lock box to the marketplace. 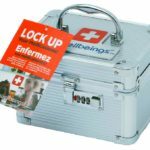 The Wellbeings® Medication Lock Box was developed to provide secure storage and optimal safety with a new and improved lock. We encourage every parent and even grandparents to make sure their medications are available only to the person to whom they are prescribed. Order yours today! Right here on our website!